Note from Goldenlight: One of the questions I received last week was about the bees disappearing through colony collapse disorder. This is caused first and foremost by the use of pesticides such as the one below. It is also due to the shifting of our world in every aspect and the disappearance of the 3rd dimension. 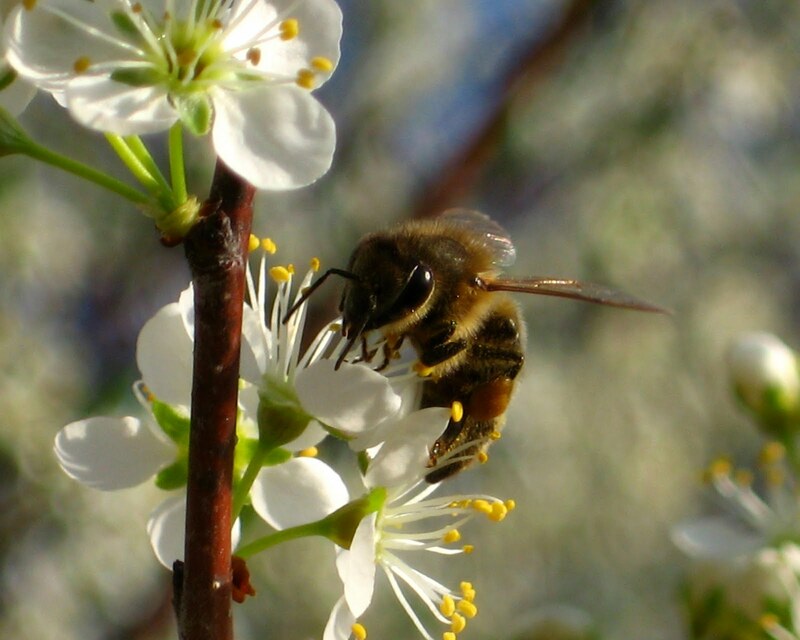 The disappearance of the bees saddens me and breaks my heart because without bees, there will be no flowers, fruits, vegetables, in short it will gravely affect our world. I will do a channeling on this when I have time, I’ve been straight out with work and will be into June. Will channel the other questions I received as well as soon as I have time. Thanks everyone for submitting your questions. Corporate politics is business as usual inside the United States, as I am once again shocked to report the EPA has sided with industry lobbyists over public health in approving a highly dangerous pesticide that the European Union recently decided to ban over fears of environmental devastation. Not only have neonicotinoid pesticides been linked repeatedly to mass bee deaths, also known as Colony Collapse Disorder (CCD), but the continued use of such pesticides threatens other aspects of nature (and humans) as well. What’s even more amazing is that the decision not only comes after the EU publicly discussed the major dangers surrounding the use of the pesticides, but after the USDA released a report surrounding the continued honeybee deaths and the related effects — a report in which they detailed pesticides to be a contributing factor. Just the impact on the honeybees alone, and we now know that these pesticides are killing aquatic life and subsequently the birds that feed upon them, amounts to a potential $200 billion in global damages per year. We’re talking about the devastation of over 100 crops, from apples to avocados and plums. And there’s countless scientists and a large number of environmental science groups speaking out on this. The EPA has no lack of information the subject. And sure, there are other contributing factors to bee deaths, there’s no question about that. We have an environment right now being hit with Monsanto’s Roundup even in residential areas, we have chemical rain, we have insane amounts of EMF — but it’s pretty clear that neonicotinoid pesticides are at least a major contributing factor. And beyond that, they have no place in the food supply to begin with. So why are they approving this pesticide to now pollute the United States in what potentially amounts to an even larger capacity than the EU? A move that will ultimately escalate the price of food worldwide due to the likely nature of continued bee deaths and subsequent crop impact? That’s the power of phony corporate science.